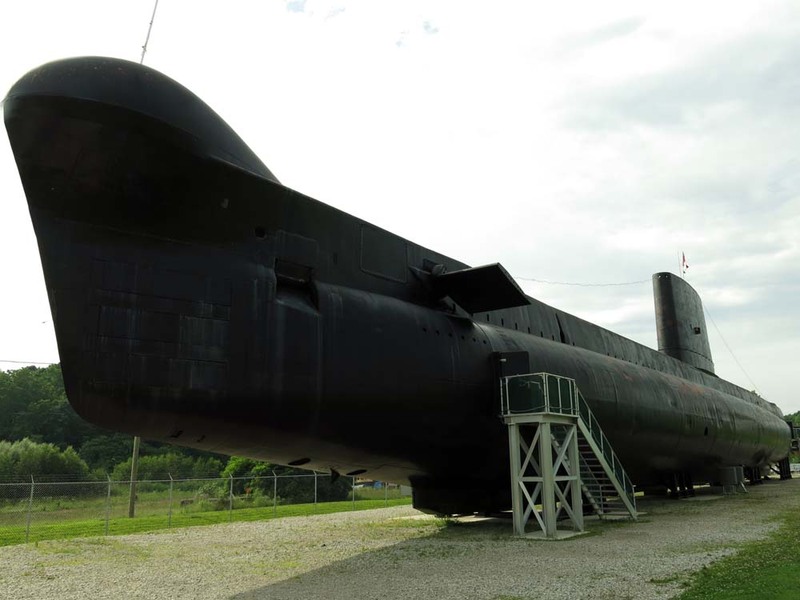 Sitting alongside Big Otter Creek as it winds into Lake Erie, the once menacing Cold War Canadian Oberon Class submarine HMCS Ojibwa is available for tours from May to September. 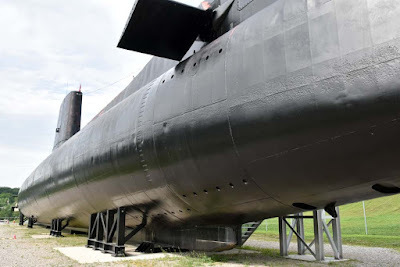 A recent day tour into Southwest Ontario brought us to the sub, one of the more impressive historical military displays scattered around our province - don't forget about the working tanks in Oshawa. 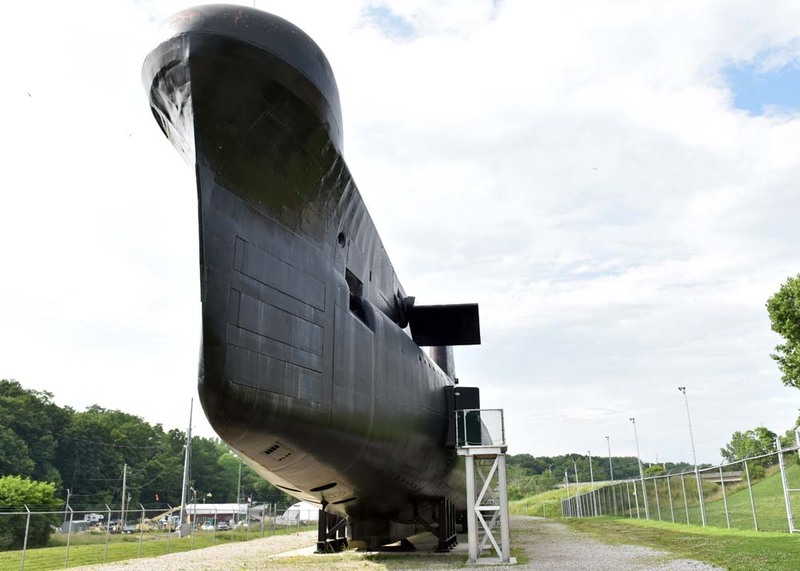 "Glorified in movies, but hidden beneath the waves in service, submarines have an indefinable mystique. 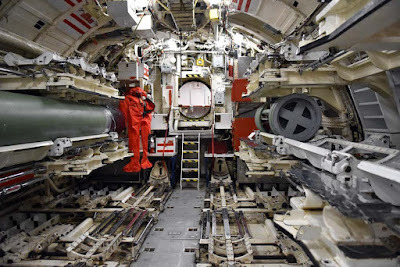 They left harbour in the dark of night and returned the same way, their crews coming and going quietly, dressed simply as regular dock workers. 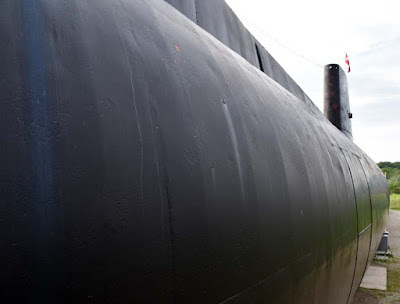 It was for good reason that Canada's Cold War submarine service was known as the “real secret service”." Five Oberon Class warships were built in Chatham, England for Canada, yet only three saw operation in the military from the 1960s to the 1990s, including the Ojibwa which was brought into the Canadian Navy on September 23, 1965. 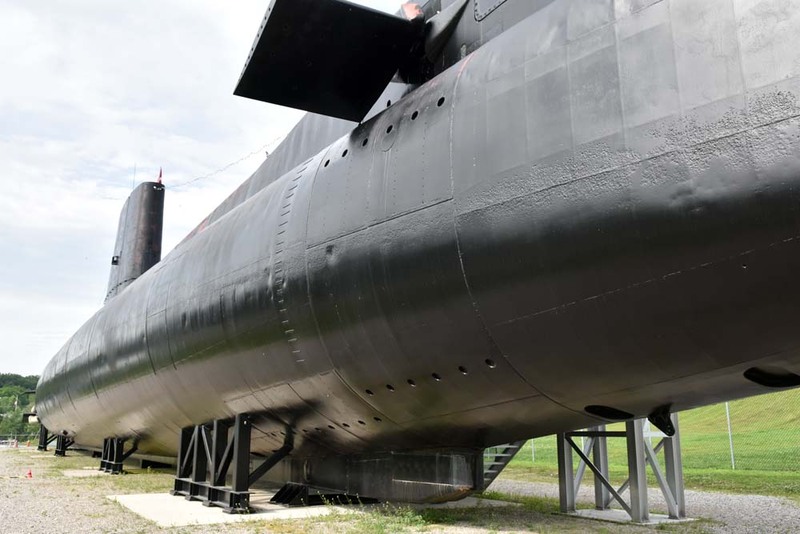 Decommissioned in the 90s, both the Ojibwa and the Onondaga were saved from the scrap heap and became museum pieces. The 295 foot underwater vessel is the vanguard of the proposed Port Burwell Museum of Naval History, a subsiduary of the Elgin Military Museum of St Thomas, Ontario. Three different tours are available: the submariner's tour, the outdoor fish eye view tour and the greater depths tour. 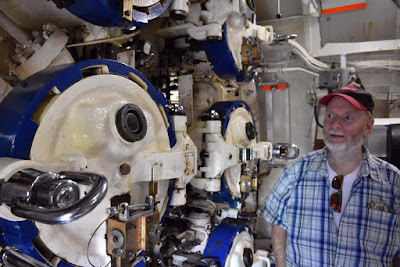 The submariner tours moves through the forward torpedo room, the forward accommodations, control room, galley and engine room which used to charge 850 tons of batteries. 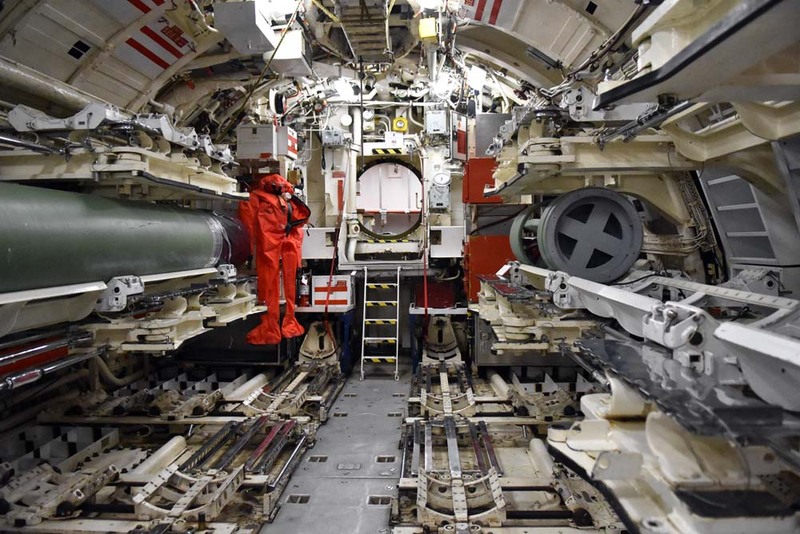 Moving between sections separated by 36 inch watertight doors and climbing stairs comes with a caution - please don't wear high heels or sandals. The 3 hour greater depths tour "will be led by a team of qualified submariners who are there to lead you through the submarine, answer your questions, and explain how things work. 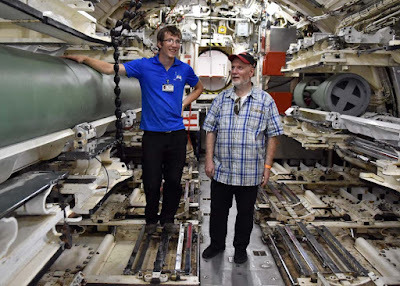 These exclusive tours are for the "hands-on" visitor who wants to learn how to open and close the torpedo tubes; start the engines and activate the snort intake and exhaust; experience ultra-quiet mode; or get into the one-man-control to learn how to "fly" the boat. 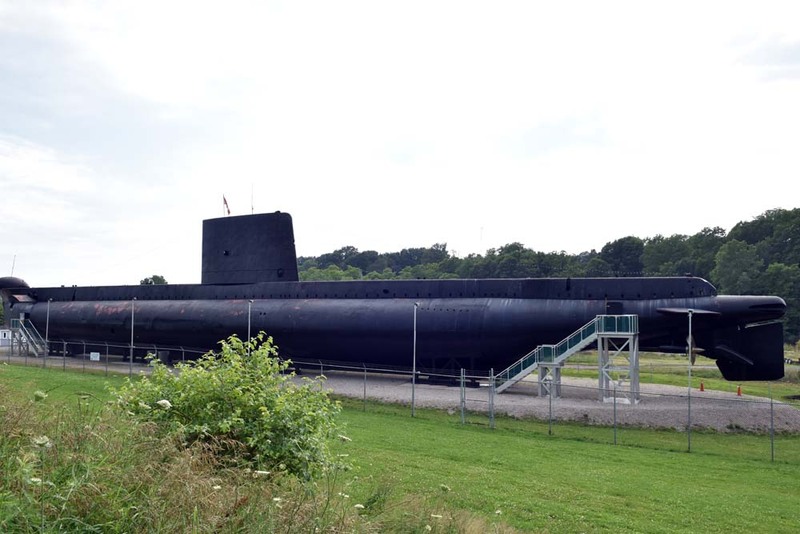 One of our radio experts will be on hand in the radio shack, ready to take you through the process and let you try your hand at sending a message." You can enjoy the beach at Port Burwell or check out Clovermead and Winter Wheat among the many attractions, beaches, parks and ports in Southern Ontario.